Sitting off the wharf off MOHAI in South Lake Union Park in Seattle is a magical world of old ships with diesel engines and steam whistles. One of these boats is particularly charming, so charming that it is a movie star. Tugboat Annie, from the 1933 film by the same name, is actually called the Arthur Foss and at over 128 years it has seen many lives besides being a movie star including service in WWII. Today it’s owned and maintained by the nonprofit Northwest Seaport. 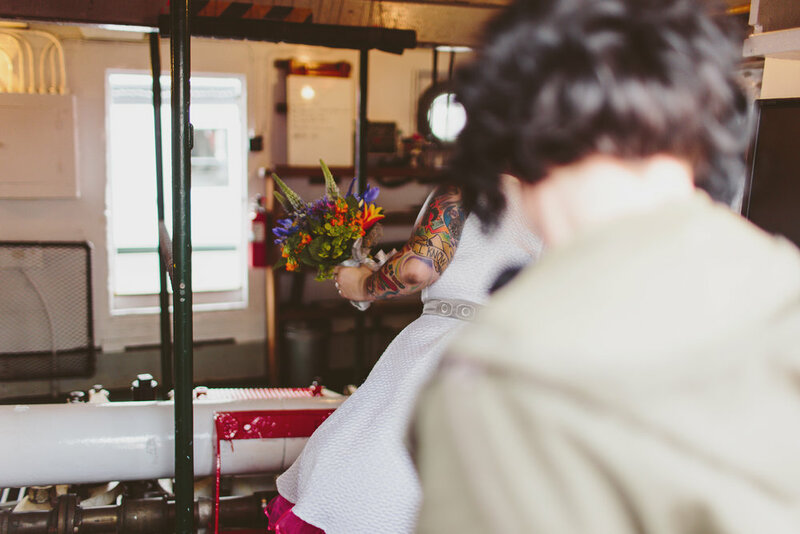 Nicolle and Patrick wanted their wedding portraits a la style of a tugboat wedding. They didn’t want all the “fuss” but instead we replaced it with with”Foss”, the Arthur Foss that is. Although the boat can hold up to 30 people with enough room for catering and decorating, it was just the three of us and a few friends with free reign of the decks and engine room. 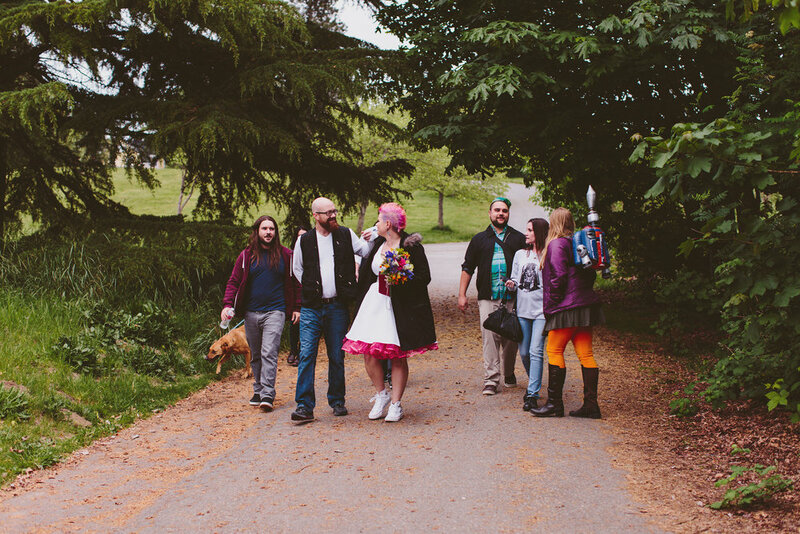 After our little exploration and photo session at the Arthur Foss, we made our way to Discovery Park and met up with friends and witnesses. 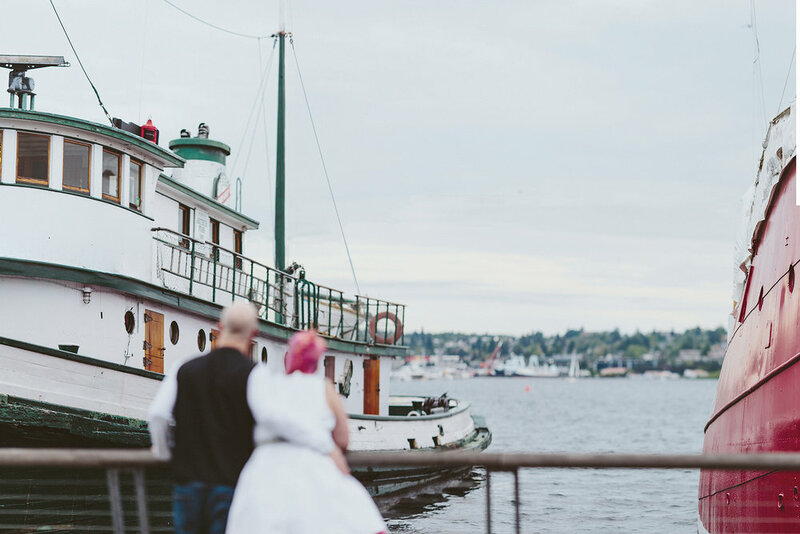 The ceremony was set up overlooking the Puget Sound on the Magnolia Bluffs. As the light faded into dusk people pulled out their phones and lights to illuminate the couple. And that's how Nicolle & Patrick told the world of their decision to go at life together, and entirely in their own way. 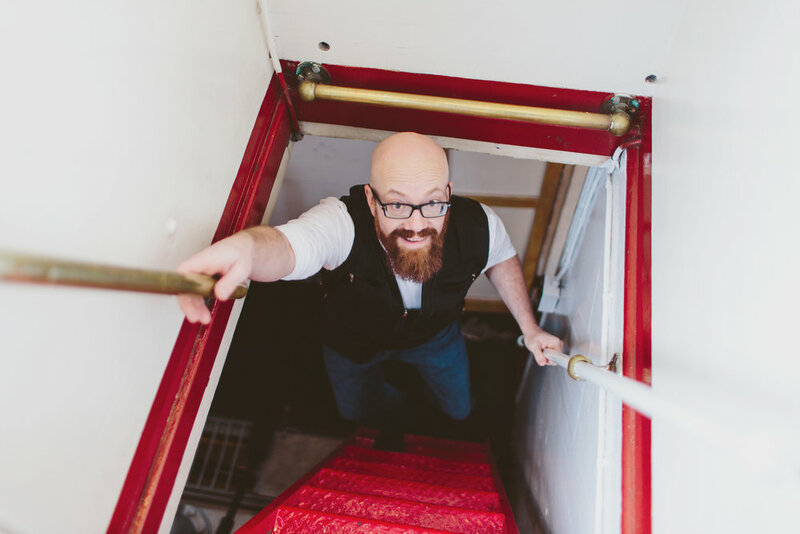 Is your idea of romance a little bit different than what you see on wedding blogs? Contact me today about your elopement, anywhere in the world.